I tried a few times to get into this one, but I just couldn't relate with the whole romance part. Every time I found myself just enjoying the plot (which was actually interesting), it got bogged down with repetitive cliches on how hot the heroine is and how horny Joe is. The romance moved way too fast and the pacing of it threw me too. 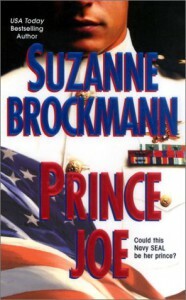 I wanted to love this one as I normally love Brockmann, but this one didn't work for me.